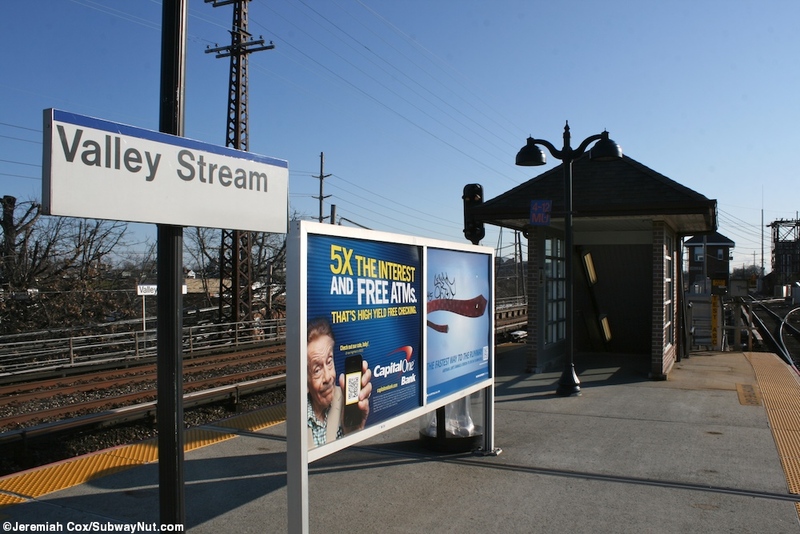 Valley Stream is a station on the viaduct of the Montauk and Atlantic Branches and a major junction point for the Long Island Railroad. 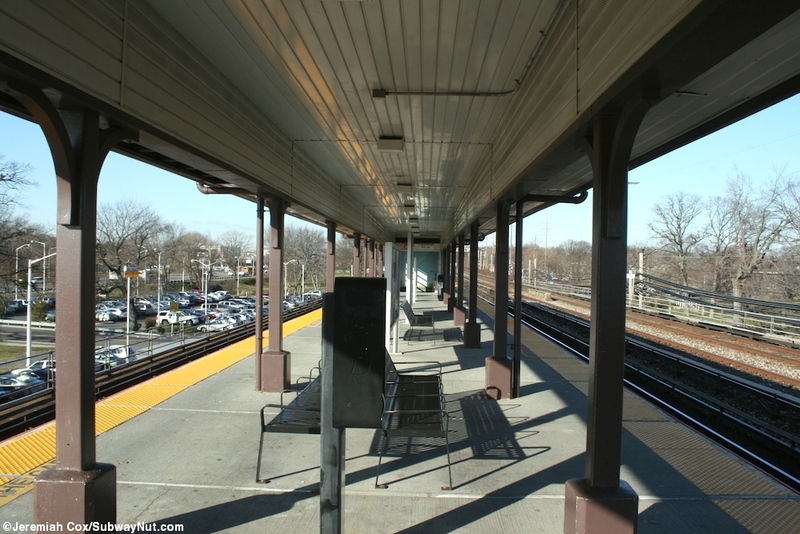 The station has just one single island platform for the Atlantic Branch with the two southern tracks that diverges into the Far Rockaway (which leaves the viaduct immediately after the station platform) and then Long Beach Branches (which leaves the viaduct after Lynbrook, the next stop). 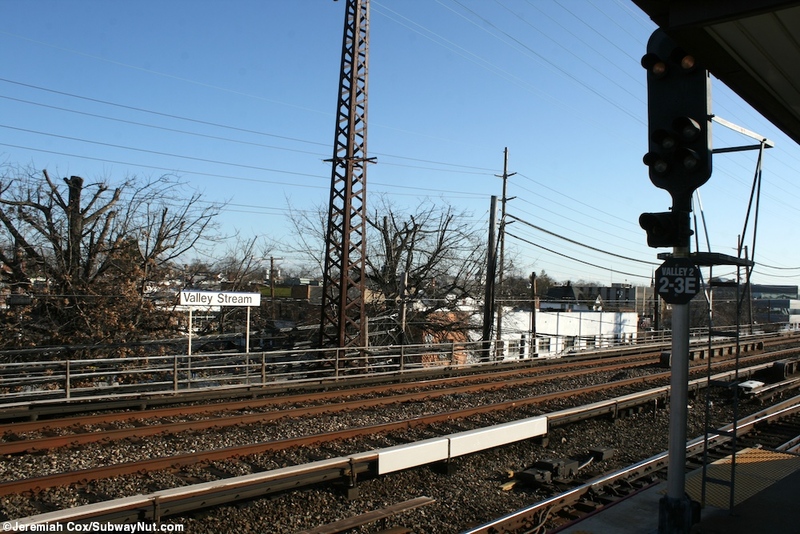 The Montauk branch has two tracks that bypass the station with the single tracked West Hempstead Branch diverges north from it just east of the station. 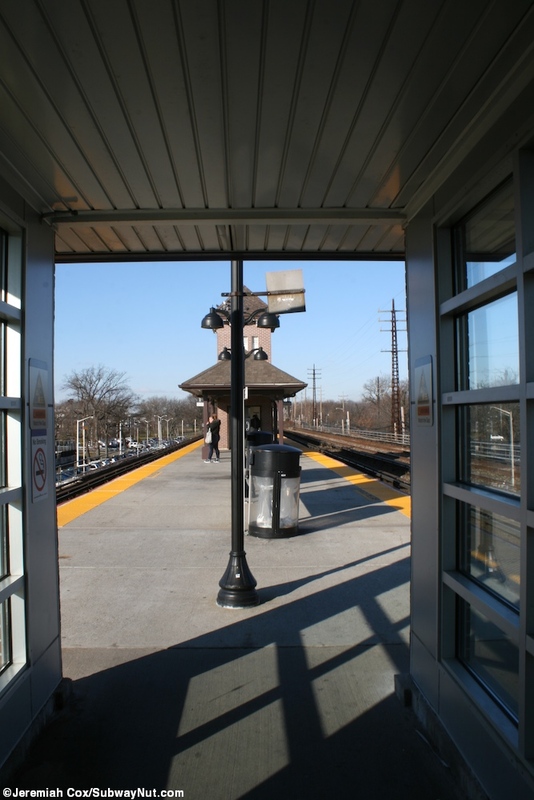 There are switches at either end of the station between the two branches. 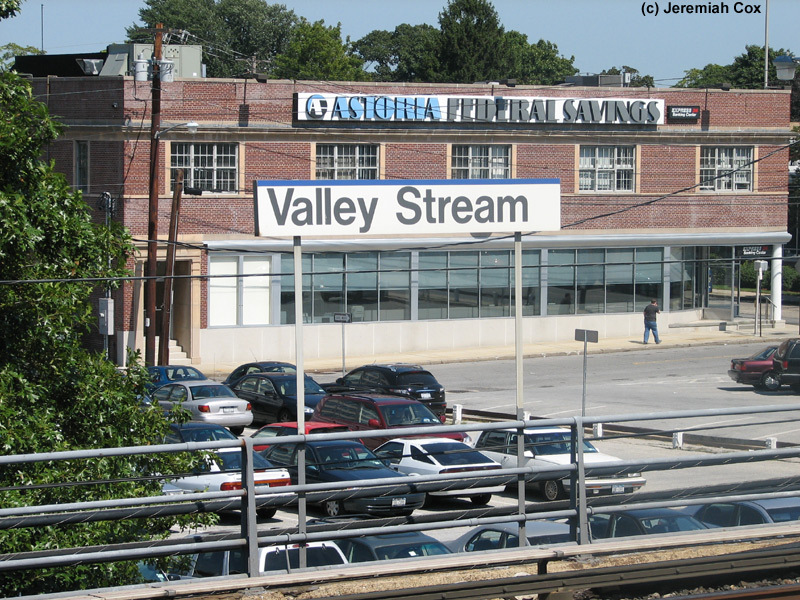 This is the Valley Interlocking and the tower still exists although on the weekend of October 24 & 25, 2009 the 1930s interlocking machine was modernized and replaced with microprocessor technology. 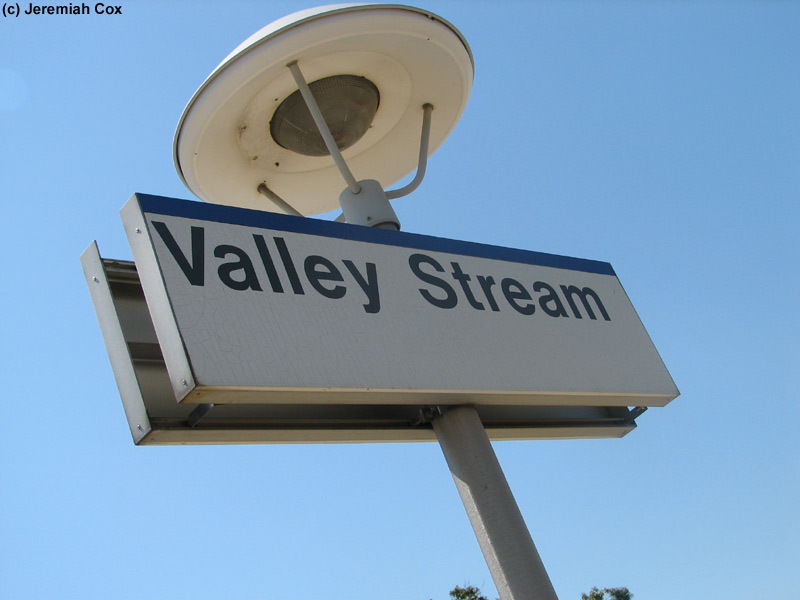 Service was suspended for 48 hours through the area, for the Valley Stream Cutover with half of the LIRR's branches effected. 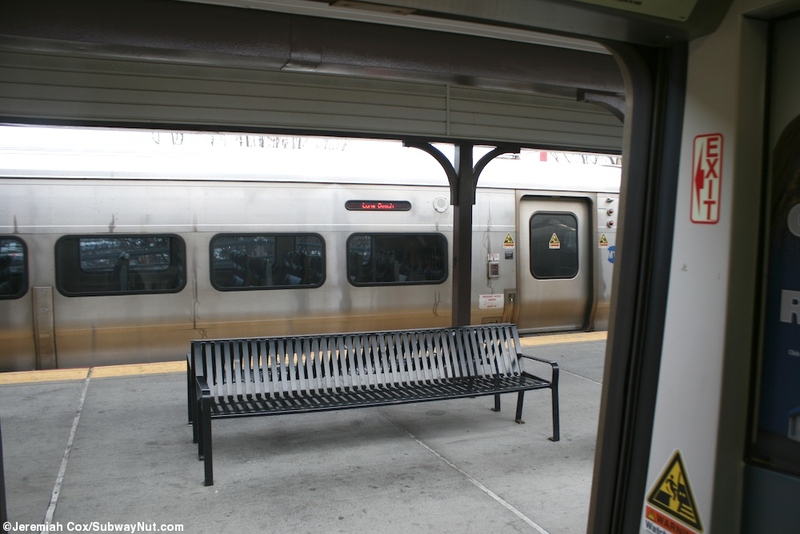 (All information is still on the MTA's website). 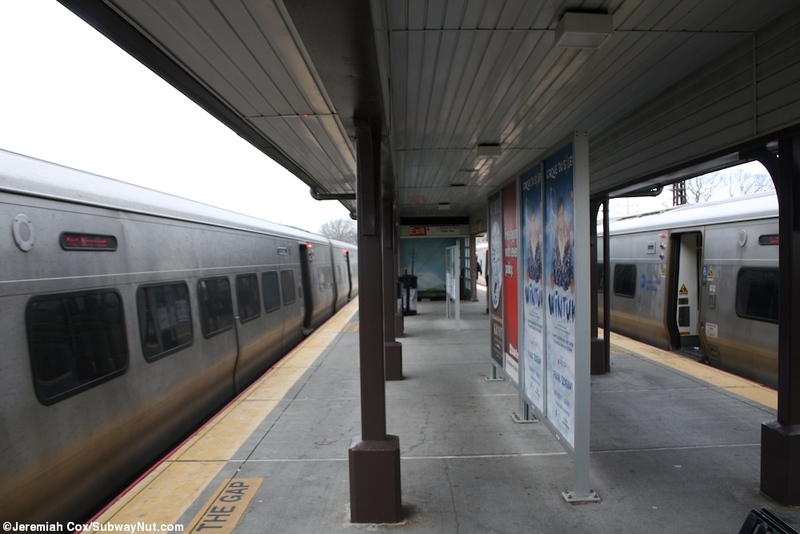 Base service at the station is two trains per hour with both hourly Far Rockaway (who's timetable covers all trains at the station) and Long Beach Branch trains stopping. 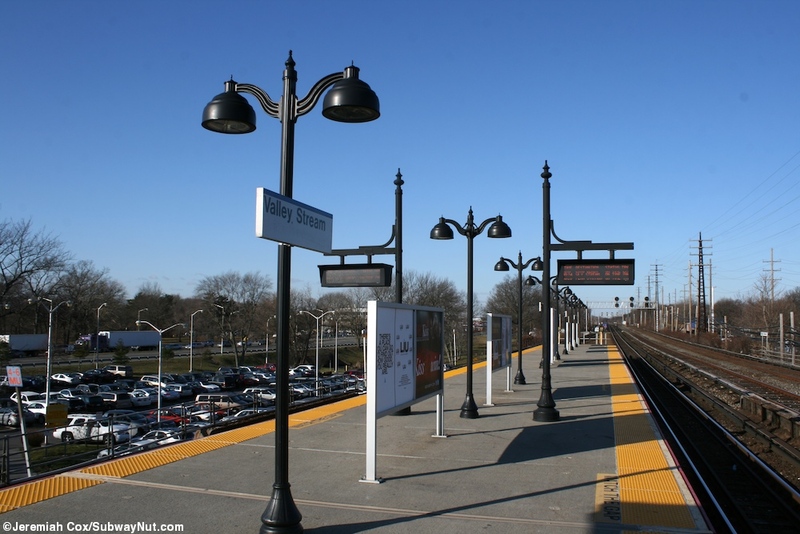 It is also a slightly unconventional terminus (trains have to block a station platform and track, their no extra sidings) and originating point for the off-peak weekdays only, every 2 hours, West Hempstead Shuttle trains (that ran on weekends as well until the 2010 service cuts suspended all service on the line), these trains make short timed connections to main line trains and begin their trips by slowly crossing over the two main line Montauk Branch tracks to reach the branch. 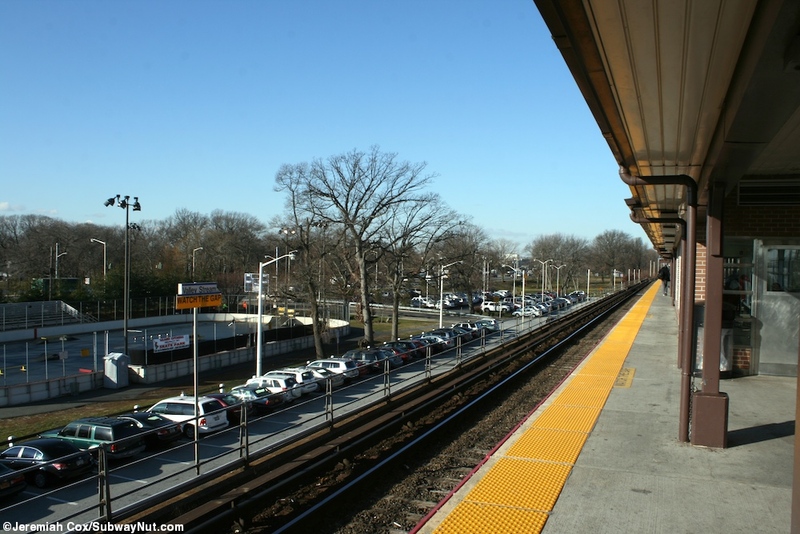 This switching issue means all but one of the direct peak West Hempstead branch trains bypass the station. 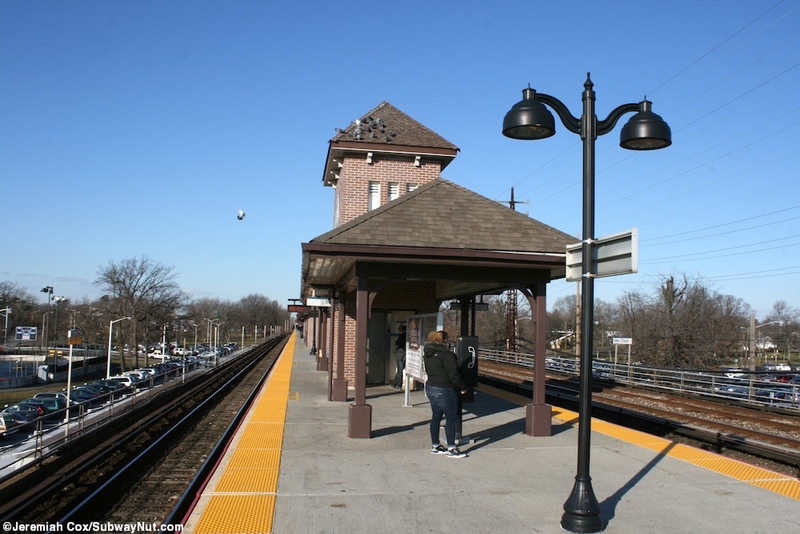 Only a few middle of the night Babylon Branch trains stop. 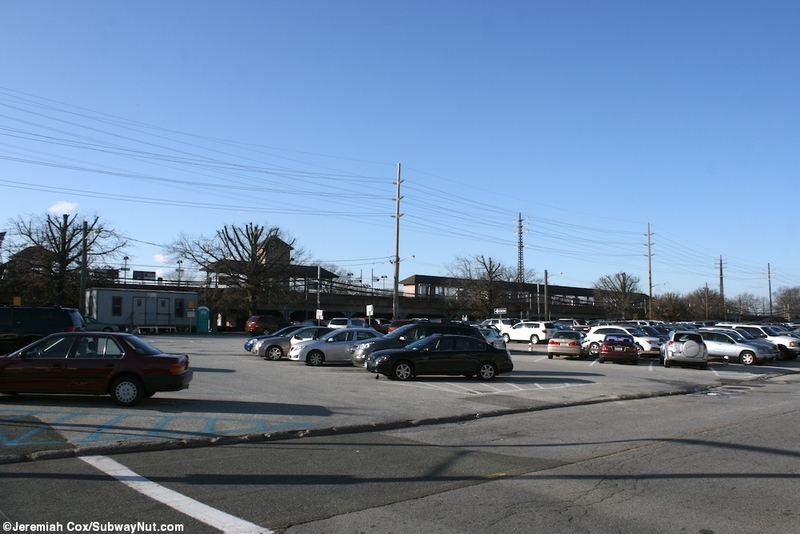 The station itself has the previously mentioned single island platform that is above a large parking lot just north of the Sunrise Highway with a pedestrian walkway in the middle of it, crowded in the middle of the weekday and was most recently renovated in 2008 that included the installation of art. 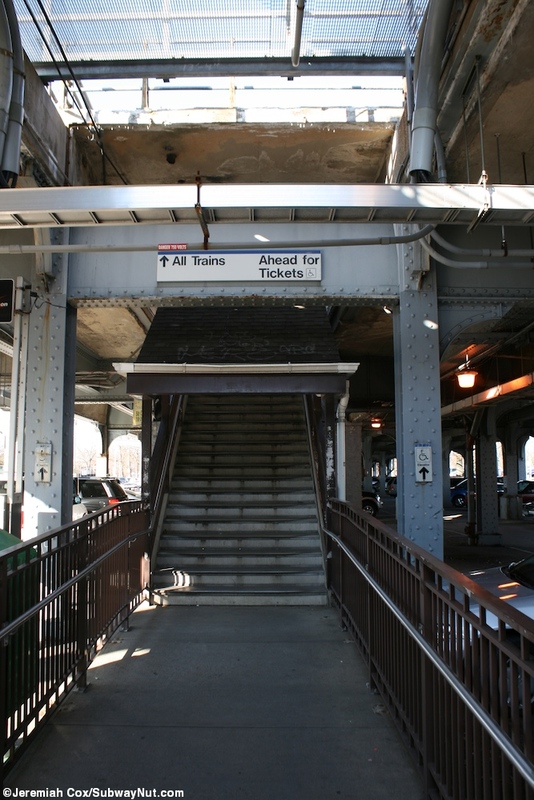 The sides of the platforms have yellow tactile warning strips. 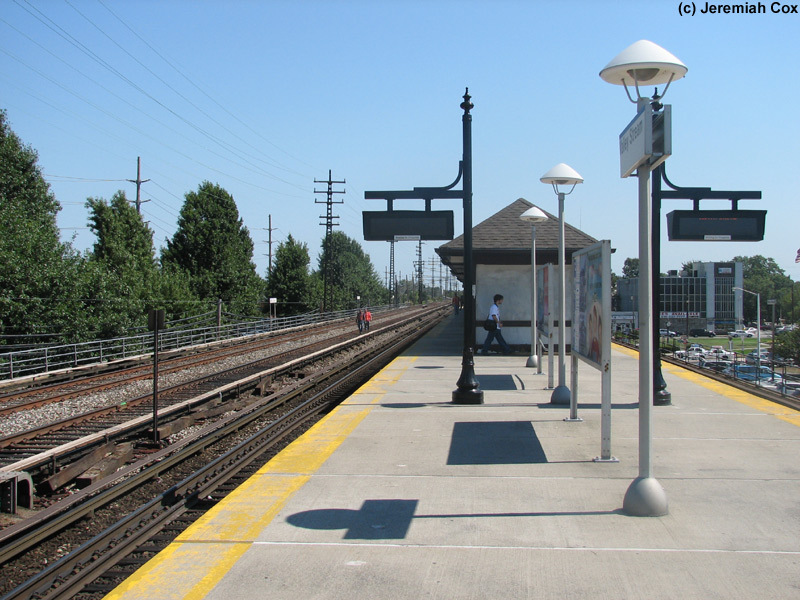 There are three different portions of the platform that are canopied with a brown, retro looking, gabled, shingled roof. 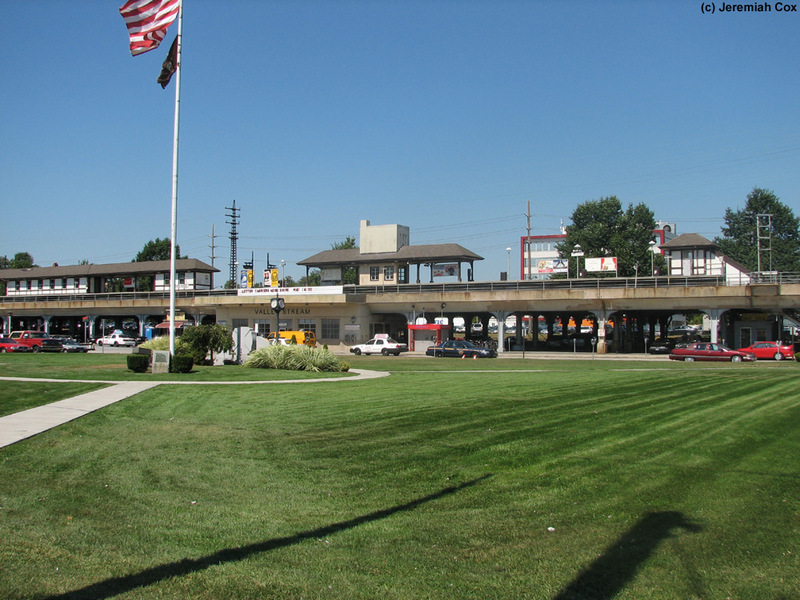 Staring from the eastern end of the platform right at this end is a staircase up from the west side of Franklin Avenue, across from the railroad inn. 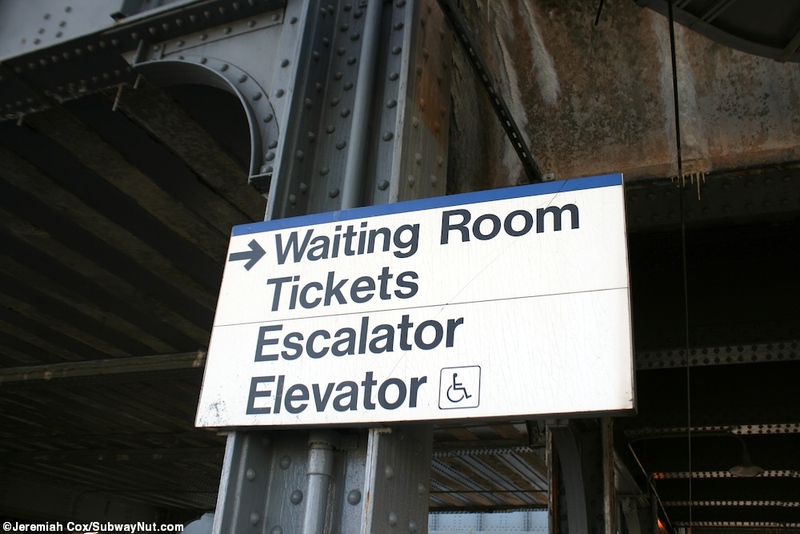 Next, tucked beneath the elevated structure is a large modern waiting room with restrooms and a few benches that still has a staffed ticket office open from 6:10am to 1:45pm weekdays, with this waiting room only open from 6:00am to 2:00pm. 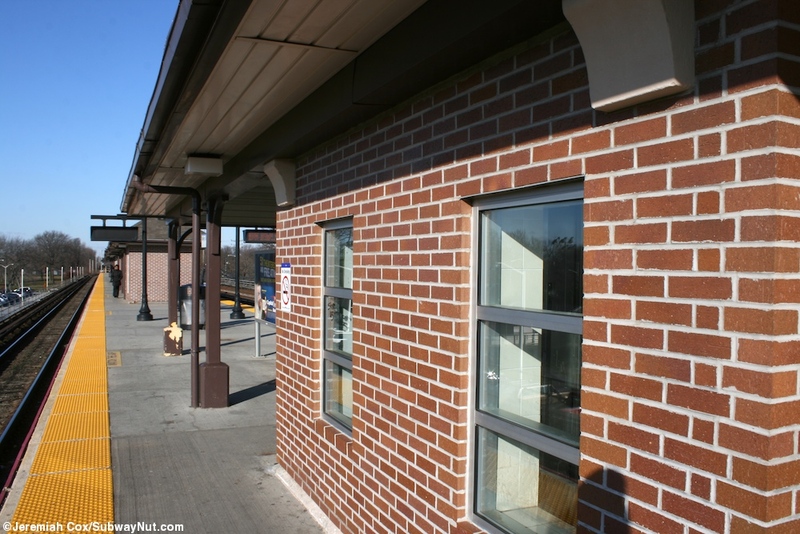 Right after the station house beneath the platform is the elevator up to the platform, this is a modern brick structure with its own canopies on either side and the seal of the Village of Valley Stream on the taller portion of the tower, required to house the electrical equipment. 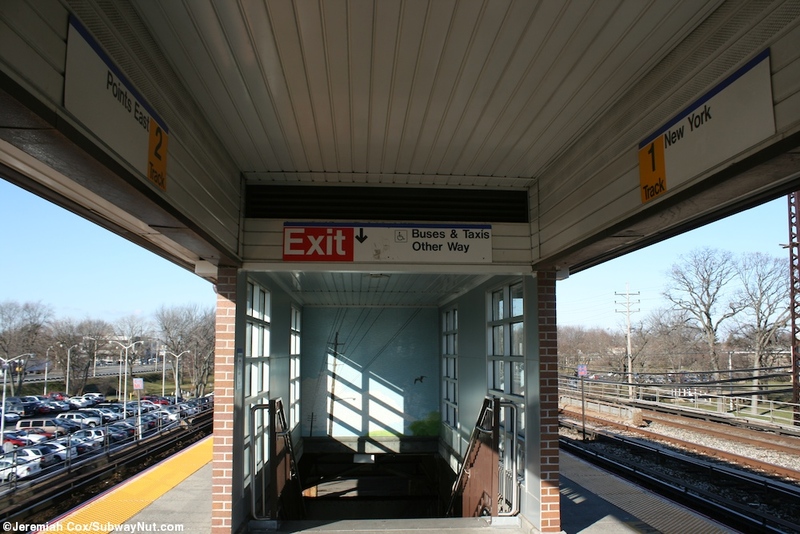 Continuing, beneath the platform is another small brick building home to Valley Stream Taxi, then a staircase and up escalator to the platform that marks the beginning of the main canopied portion of the platform. 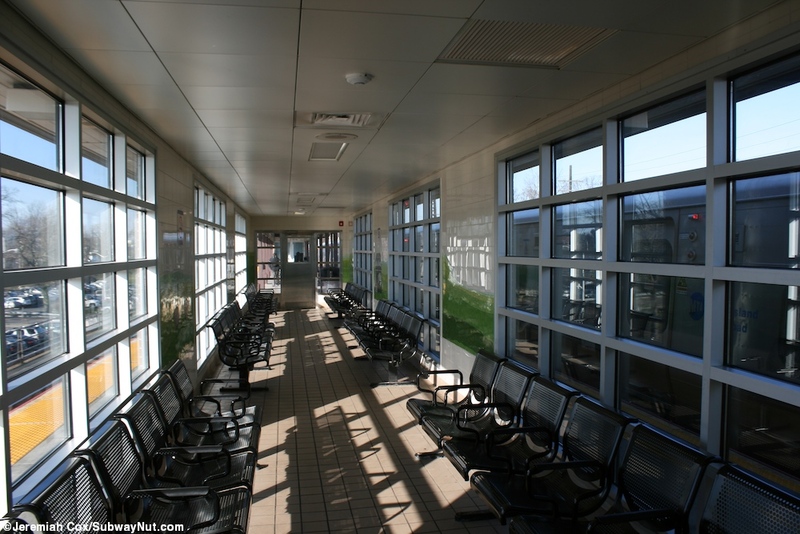 This has a modern, simple with benches along either wall, waiting room in the middle of the platform before the canopy ends at a staircase down to the opposite end of the parking lot at the western sidewalk of Hicks Street. 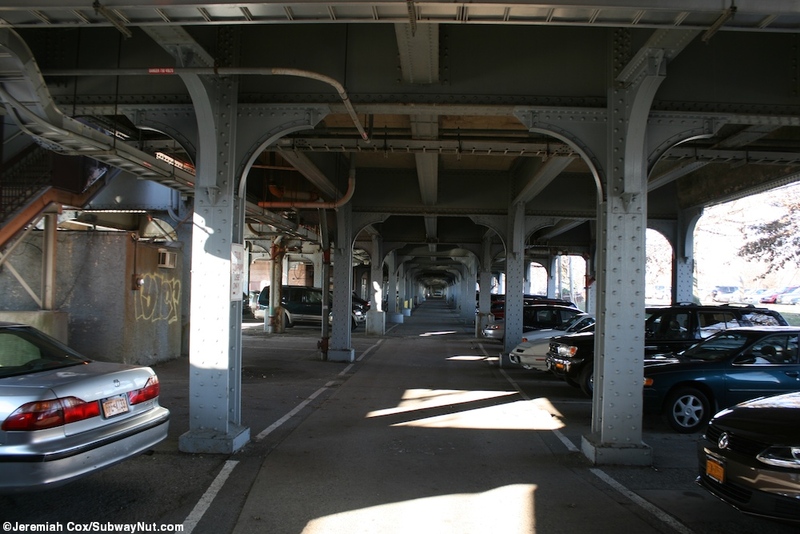 There is more parking west of the station and the platform continues above, exposed with just modern lampposts.